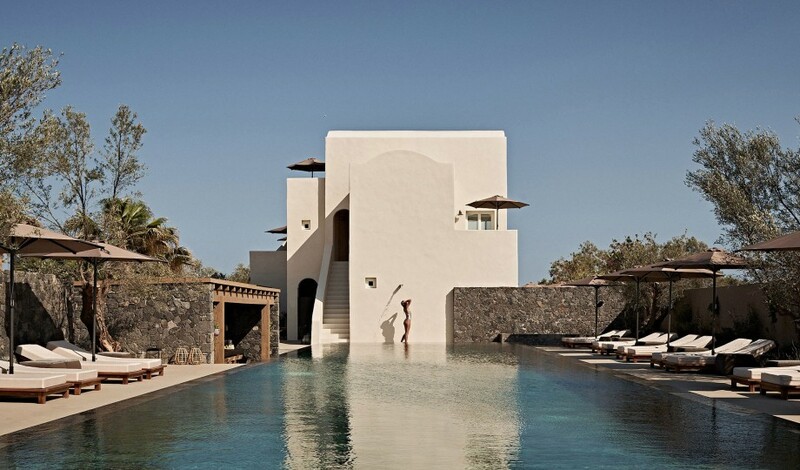 —Where the black volcanic sand of Perivolos Beach meets the midnight blue caldera waters of the Aegean Sea in Santorini, one finds the sublime Istoria. 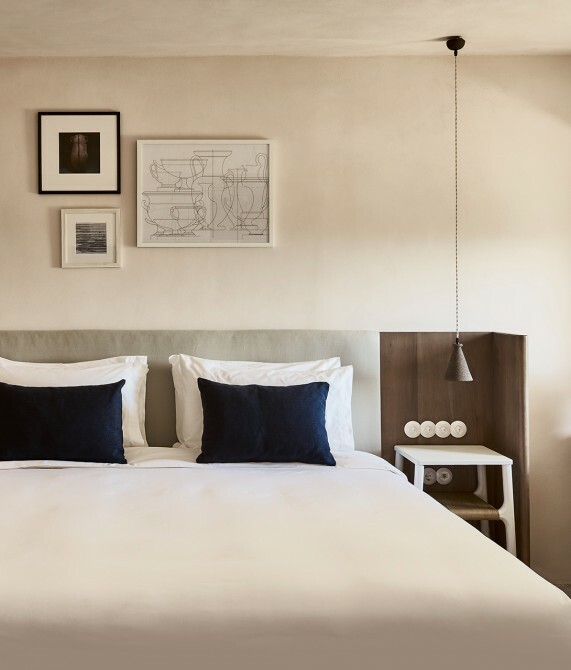 Created by the Athens-based Interior Design Laboratorium, Istoria feels like it’s always been on Santorini. 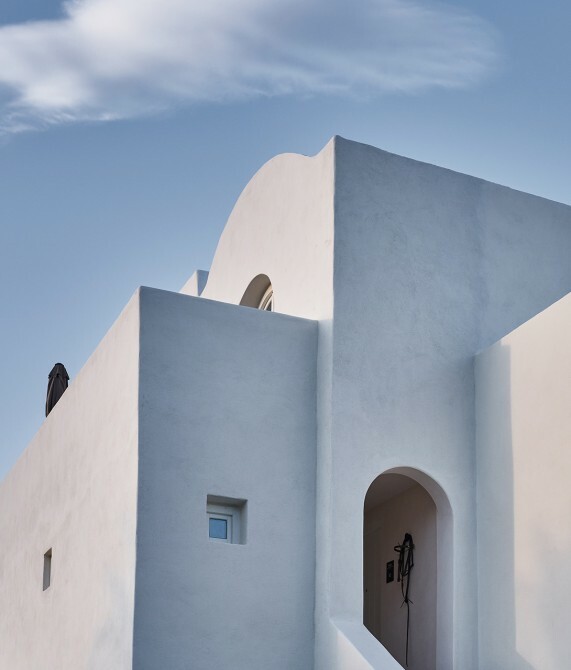 Following the distinctive architecture of the Cyclades islands, this 12-suite retreat offers a spectacular combination of traditional and contemporary features. 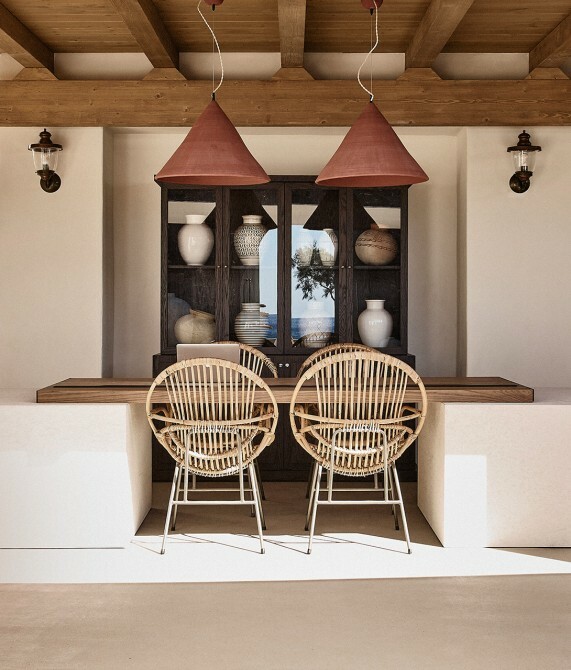 Here, well-chosen pieces of wood furniture and handcrafted textiles, such as traditional woven wool, bring joy and depth to the interiors. At the hotel’s restaurant, chef Alexandros Tsiotinis—who made his name in the Michelin-starred kitchens of Noma in Copenhagen and Le Bristol in Paris—offers a unique culinary journey that is influenced by Santorini’s epicurean traditions and its abundance of fresh seafood. 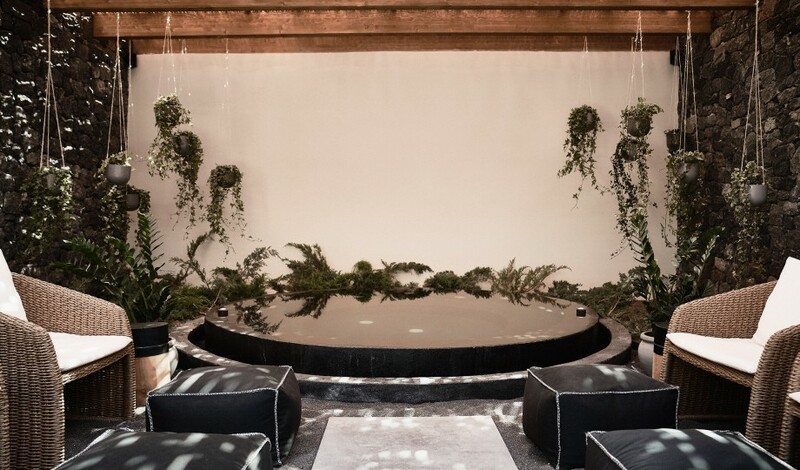 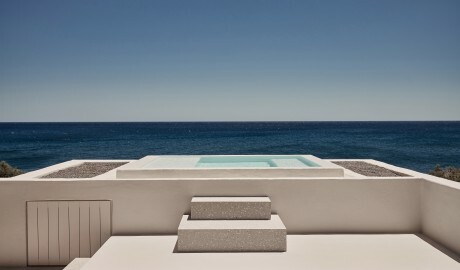 Of course, no picture of grand-island living would be complete without private outdoor hot tubs or pools, which one finds in most of the suites. 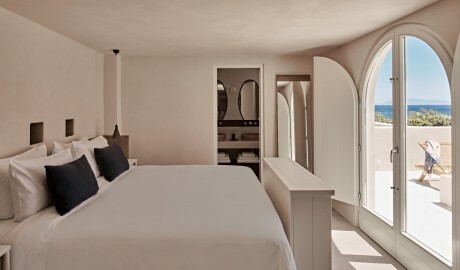 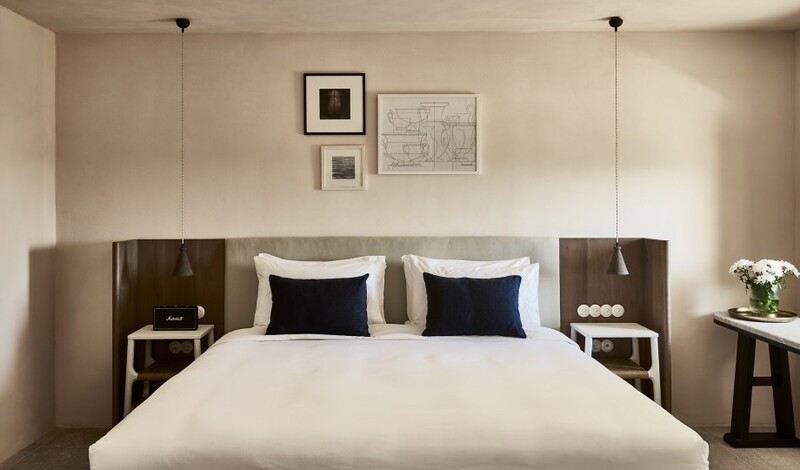 The 12 suites range from 40 to 50 square meters and all feature a king-size bed and a terrace. 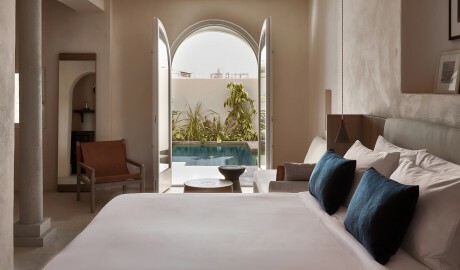 While the terrace of the 40-square-meter Superior Suite affords impressive sea views, the 40-square-meter Deluxe Suite boasts either a Jacuzzi or a pool on the terrace. 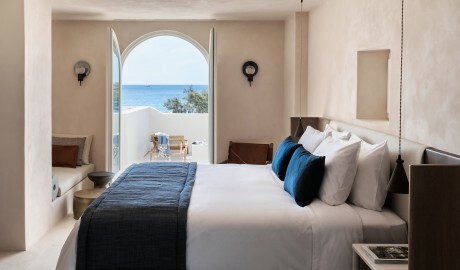 The Junior Suite and the Master Suite—at 40 and 50 square meters, respectively—also play host to a Jacuzzi on the sea-view terrace. As time passes, what endures are the moments that moved your soul or altered your mind—the Original Experiences that stay with you long after you’ve returned home. Click to read more about the Original Experiences that await at Istoria, and begin dreaming up your next extraordinary trip. 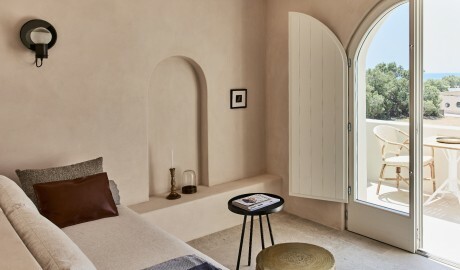 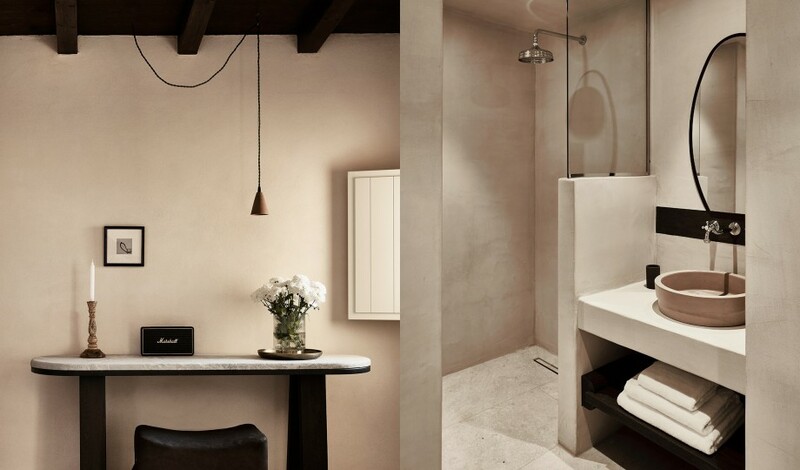 The simplicity of the spaces blends harmoniously with dominant structural elements, such as arches, stone columns, wooden roofs, and thick masonry. 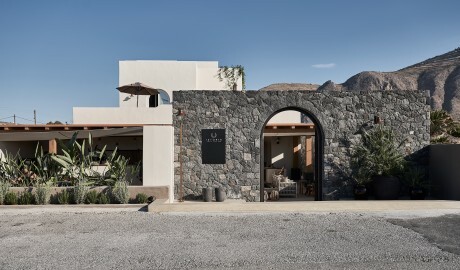 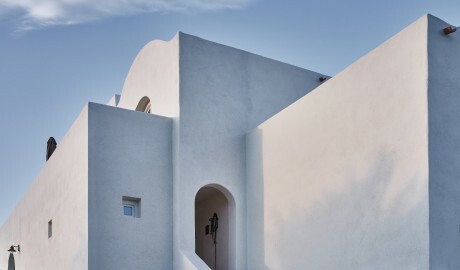 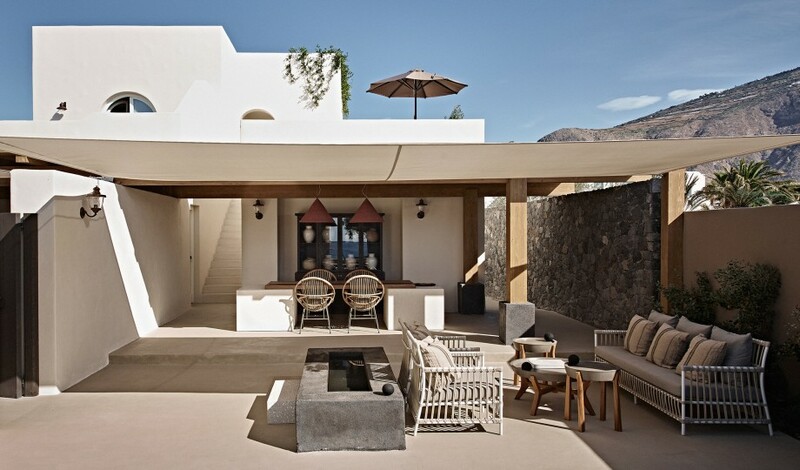 Reflecting the island’s traditional building materials of volcanic stones, black sand, and colored plaster, Istoria’s structure is influenced by Santorini’s unique architecture. 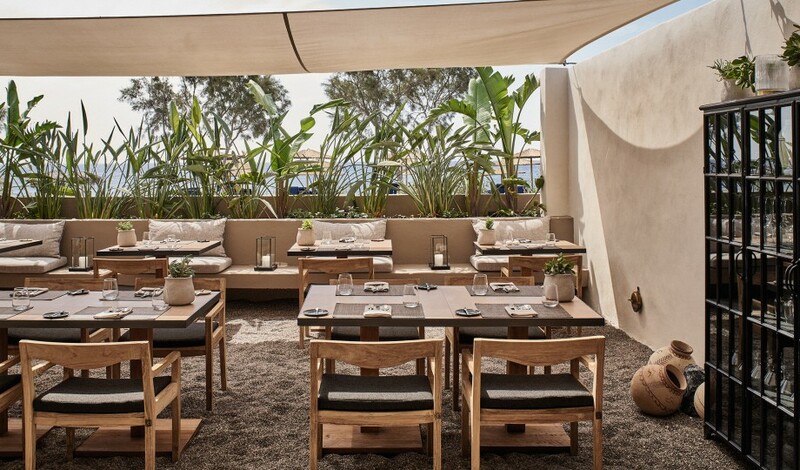 Hailing from a notable Greek shipping family, Antonis Eliopoulos felt as though he had his course set on a maritime future, but destiny led him back to his favorite island Santorini and to explore his natural talent for hospitality. Together with his wife Kalia, the duo brings their love of travel as well as their passion for all things Greek to offer hotels unlike anything on offer on the island. 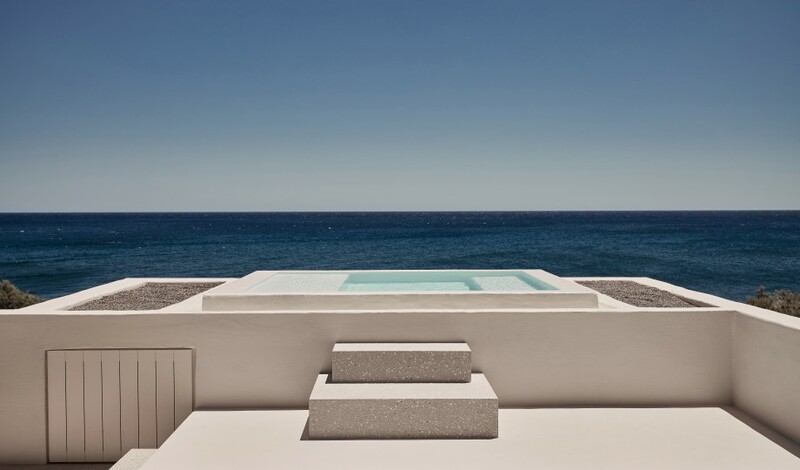 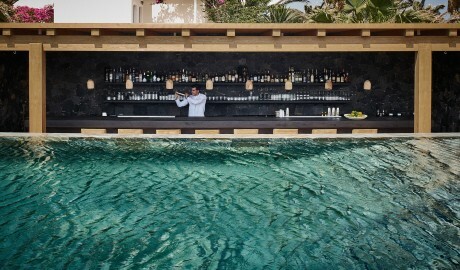 Their latest hotel, Istoria, on the magical black sand beach of Santorini, is no exception—an elegant house that’s high on design with possibly the most insta-lust-worthy pool.